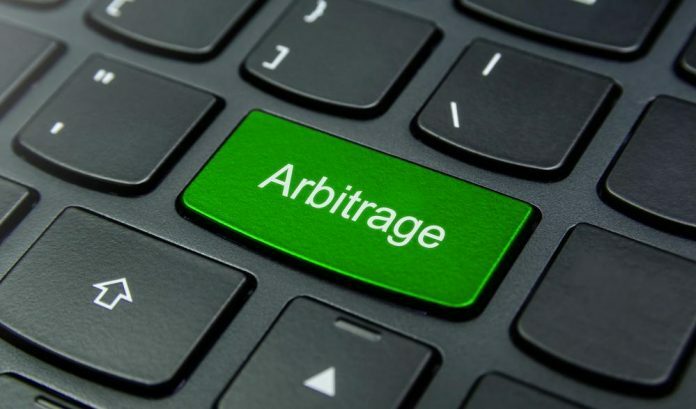 Cryptocurrency arbitrage is often considered to be a viable way of scoring profits during volatile market trends. All top markets are currently going through a medium-sized dip, which means prices between exchanges will be very different. The following six options let users score some easy profits throughout today. Buying Etheruem Classic on any exchange that is not YoBit will effectively result in some decent profits today. Its value on YoBIt is roughly 1.5% higher compared to the likes of Gate.io, Binance, KuCoin, and Poloniex. Koineks also has a lower price, although the arbitrage gap is slightly smaller. It does not happen all that often prices for altcoins are higher on Binance compared to some other exchanges. As of today, buying XLM on Kraken, CEX, VeBitcoin, or Koineks, and selling them on either Binance or KuCoin can result in a profit of roughly 0.75%. Not the most lucrative option, but still one worth exploring due to its overall liquidity. The TRON arbitrage opportunity today is very similar to Ethereum Classic above, as it revolves around selling on YoBit for easy profits. Prices for TRX across OKEx, Gate, Koineks, Bitfinex, Binance, and HitBTC are all lower compared to YoBit. Exploring these options will result in gains of up to 1%. A small profit, but still better than nothing. There are many different opportunities when it comes to arbitrage trading DASH today. Buying the altcoin on Koinim and selling it on YoBit, Gate, or Sistemkoin can result in profits of up to 2%. Buying on CEX, Kraken, HitBTC, or Gate and selling on YoBit offers gains of up to 1.5%. Plenty of trading options for quick and easy profits. Most cryptocurrency users have a soft spot for Dogecoin, albeit often for very different reasons. In the case of arbitrage trading, DOGE can be a viable tool. Buying on Gate, HitBTC, or Poloniex and selling on Livecoin can yield a profit of up to 2.1%. Buying on the same exchanges and selling on YoBit can yield profits of up to 3.3%. EOS Is not a currency often associated with arbitrage trading, even though it has no liquidity issues across different platforms whatsoever. Today, there are many different opportunities where this altcoin is concerned. Buying low on HitBTC, Poloniex, Gate, Paribu, Bitfinex, Binance, or KuCoin and selling on YoBit will net easy profits. Traders can make up to 1.5% from exploring these various options.